Hi. 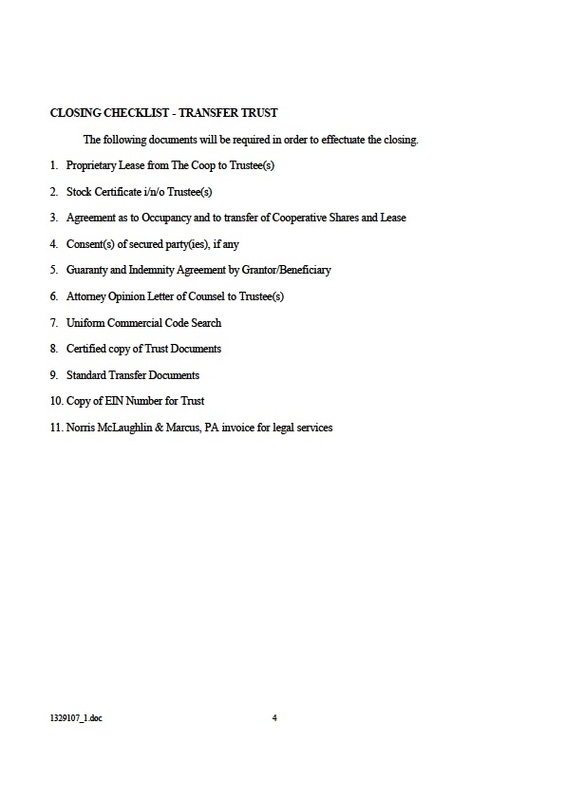 Take a look at this memo that is sent to anyone looking for info on a trust and give me a call to discuss. It is my understanding that a retainer of $2,500 is required when a trust is submitted to counsel. Our attorney does not act as the shareholders attorney. Rather, they must have a trust attorney create their trust in coordination with our attorney. Our attorney is involved in that they need to make sure that SBT is protected. Further, there is an actual “closing” as the unit is changing ownership. The 28% flip tax is postponed until the next time ownership changes and at that time, a 2.5% flip tax is also due for a “second” transaction. to a stock but a 28% flip tax must be paid. the 28% flip tax longer original shareholders would have prior to the Trust. will. There is only a one-time exemption allowed. Q. What would be the benefits and disadvantages of putting a cooperative unit in a family trust?? 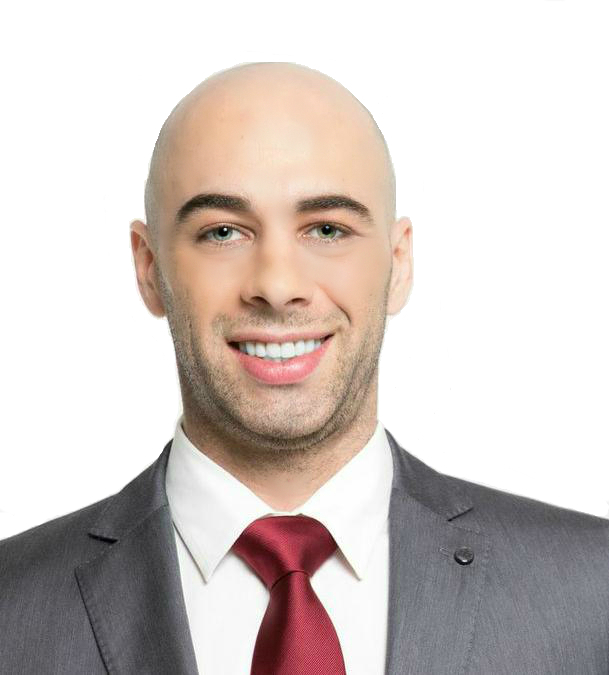 “The decision to transfer a residence to a trust should be made as part of a comprehensive estate plan with the assistance of an experienced trusts and estates attorney and perhaps a financial adviser as well. Depending upon how the transaction is structured, the type of trust that is involved, the value of the co-op, the size of the co-op owner’s estate and the co-op owner’s domicile, there may be income, estate, gift and transfer tax implications. In addition, the transfer of the co-op to a trust may render the owner ineligible to receive Medicaid benefits for years. These tax consequences and other consequences should be evaluated carefully before any transfer is made. 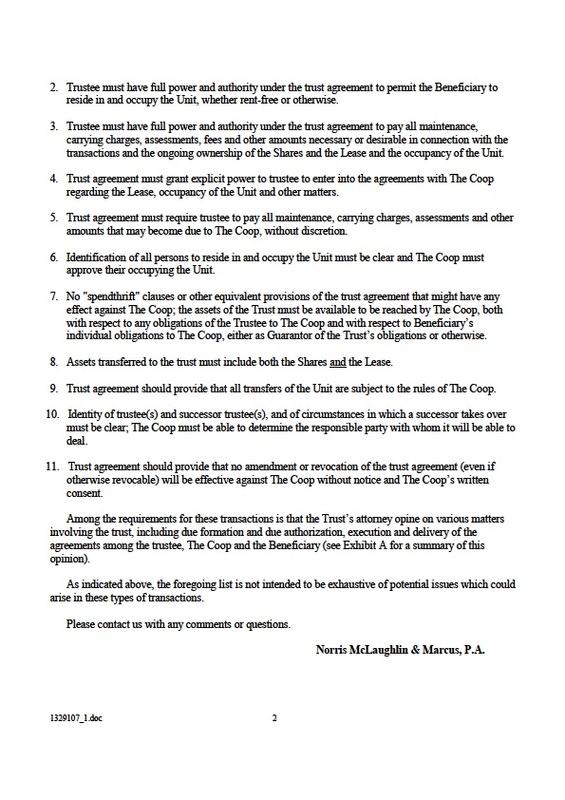 The transfer of a co-op to a trust is usually contemplated with two main goals in mind: to permit a trustee to manage the financial aspects of the co-op if the owner becomes disabled and to be able to transfer the co-op to another family member or to sell it after the owner’s death without having to probate a will or have a court appoint an estate administrator if there is no will. 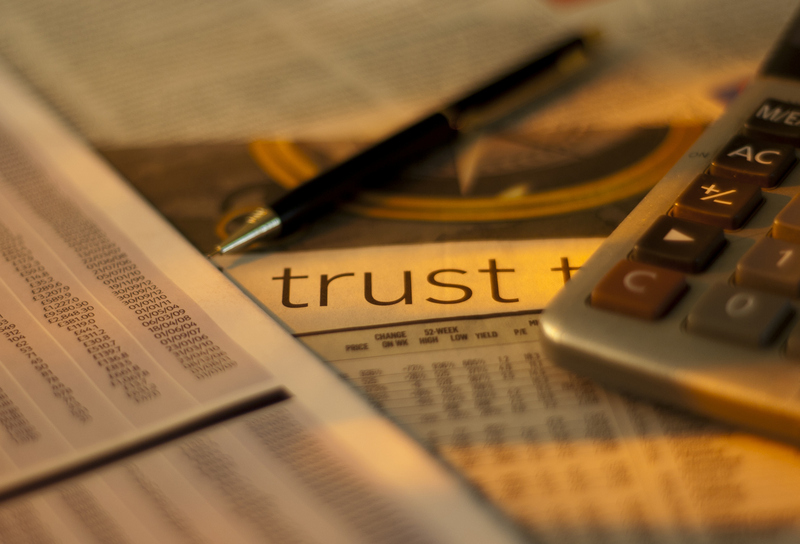 If the trust is a standard revocable living trust, there is no estate tax advantage, because the assets in the trust are still considered part of the trust creator’s estate. If the trust is a QPRT (Qualified Personal Residence Trust) the owner transfers the co-op to the trust for a specified term, during which the original owner may continue to reside in the co-op. After the term ends, the trust terminates and the co-op would either be transferred directly to the beneficiaries designated in the trust, or to another trust for their benefit. The original co-op owner is deemed to have made a gift to the beneficiaries, but the value of the gift is discounted, if the owner survives the trust term, because of the original owner’s right to use and occupy the co-op during the trust term. In addition, any appreciation on the value of the co-op is not part of the original owner’s estate. So depending upon the value of the co-op and the age of the owner, there may be significant estate tax advantages to using the QPRT. 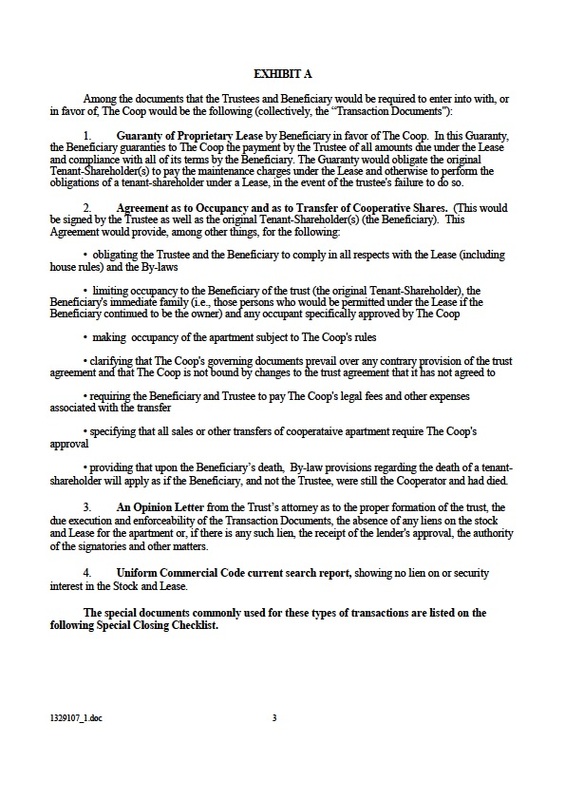 Under current QPRT rules the trust cannot require the beneficiaries of the trust to continue to allow the original co-op owner to reside in the apartment after the trust terminates, but the beneficiaries can do so if they wish, under a lease with arms-length terms. In addition, in the case of an irrevocable trust such as a QPRT, the trust is a considered a separate taxpayer requiring separate income tax returns and separate bookkeeping and accounting. So while there may be some cost savings if probate or estate administration is avoided, those savings may be outweighed by the initial costs incurred to create the trust, transfer assets into it and the annual expense of administering it. 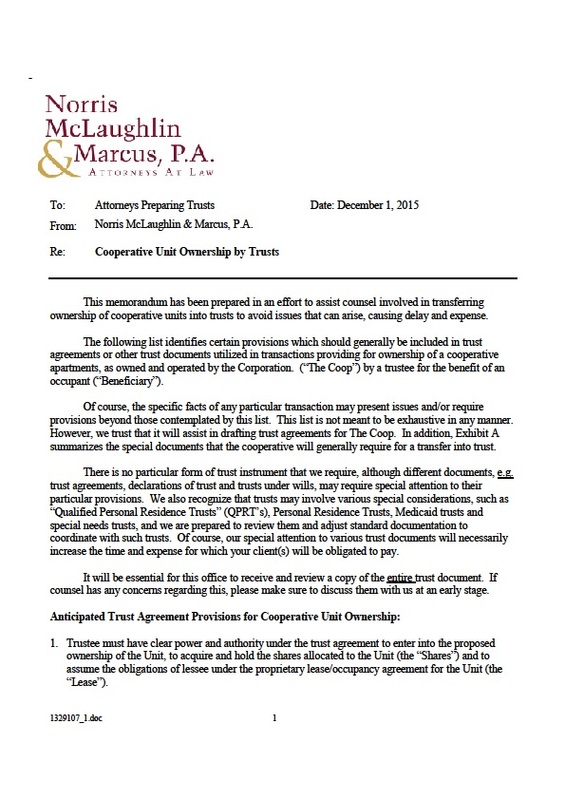 Not all cooperative corporations permit transfers to trusts. They are concerned about who will occupy the apartment, and who will pay the maintenance, especially if the sole or primary asset of the trust is the apartment. These concerns can be addressed through maintenance guarantees and occupancy agreements, but some cooperative corporations are too risk adverse to consider them.